It’s time to rush to the kitchen and grab your utensils because you’re going on the most amazing cooking adventure! 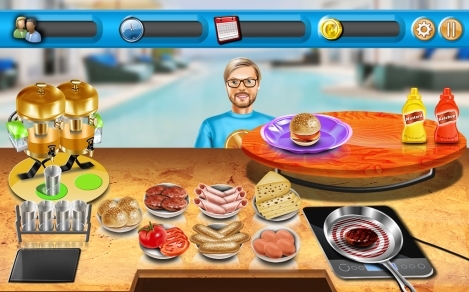 Top Cooking Rush is both a restaurant game and a cooking game. Get ready for a mouth-watering experience with lots of gourmet dishes at the tip of your fingers. 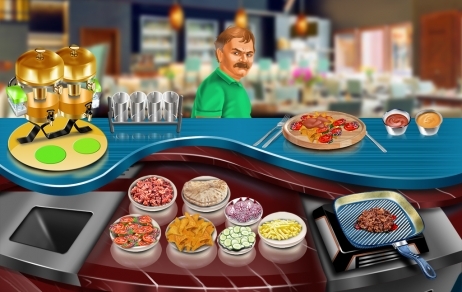 Enter a world of delicious fancy meals in this awesome and addictive restaurant game. You are going to learn all about cooking and food serving at your own restaurant. You need to prepare the most delicious meals for the hungry customers and serve them on time, so you can become a well-known chef! We guarantee lots of hours of entertainment in every unique restaurant! The cooking game is free, so try out your skills. 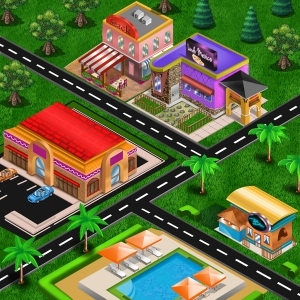 You have nothing to lose by playing this restaurant game! Cook all types of foods, from burgers and fries to spaghetti and meat balls. 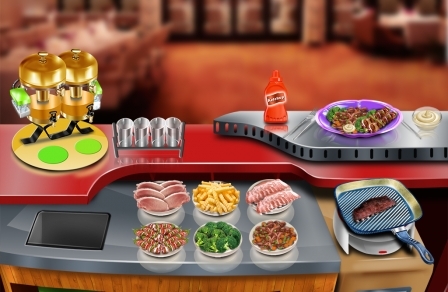 With every level you unlock, you will get a new restaurant where you can show off your cooking skills. Discover all the tasty meals in every type of restaurant and learn how to cook them right! This fast-paced cooking game will make you memorize the recipes really quick, so you never let your customers down. Make sure they always leave your restaurant with a full belly. Do your best and the tips will reflect your cooking skills and hard work! If you want a bigger profit each day, you are going to need a marketing strategy! Learn all about investing your coins in order to get useful kitchen upgrades for your restaurant. 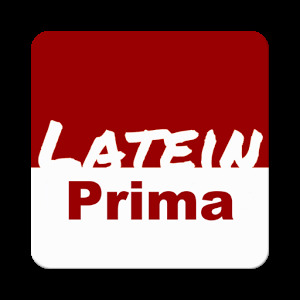 New plates, frying pans and other utensils will surely bring more customers to your restaurant every single day. Work your way to the top and you will own all the restaurants in the neighbourhood! Impress everyone with your cooking abilities. 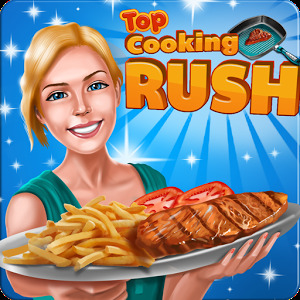 Download this catchy cooking game and start the cooking rush right now! So, what are you waiting for? Cooking has never been so fun! 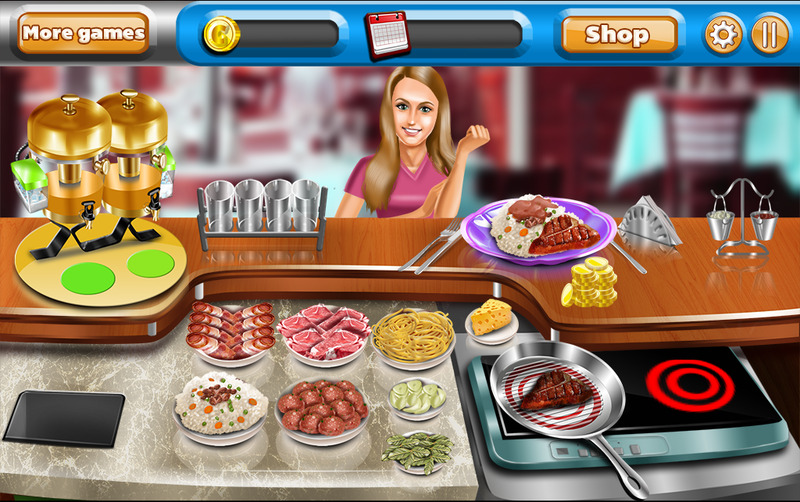 Download this cooking game right now and you will have your own restaurant business! Use your touchscreen to cook the most amazing gourmet dishes and serve your customers. Become the best chef in town! We know you have what it takes! Start playing this restaurant game right away and don’t forget to tell us what you think about the it! Good luck!